The Track Our Progress proposals start in January of 2012, and we are still working on bringing in the professional publishing team. The contingency for the first proposal is that the United States assumes responsibility for the Constitutional Amendment Convention, and that proposal's first step is the creation of the crisis center, but the contingency has not yet been met. Our organization is a 501(c)3 charitable organization, and by law, we cannot lobby, and grassroots movements are considering lobbying, so we must bring in another organization and turn responsibility over to that group, who can legally lobby. The question is, which group? The books are "channeled messages from God on how to overcome any crisis," which allows anyone on the planet to rise out of the abyss. You can read the Bible, for example, and live a Christian life, but that that doesn't mean you have a personal relationship with God, or that you are getting personalized insights. That is the role of the prophets. Each of us gets our spiritual gifts from our Creator. Organization project ideas come from a spiritual entity, named Seth, and he only speaks through a limited number of channels, and each of the channels is the leader of an organization. Eventually, everyone will be working together to bring world peace, each from our own perspective. Preventing the channels from coming together, or channeling books, or working at the crisis center, makes no sense, because the pirates leave themselves out of the organization. It is not a matter of judgment. It is just a simple fact. They have no way to get out of their own crisis. The projects allow them to function on a higher level, and they refuse to stand on the principles of the organization. At this time, my books are still amateur-quality books, and they can only be sold to independent members of the organization. Many people are now in crisis, including those who have been playing power games because the games have backlashed on them. Mankind is sometimes compared to everyone being on a ship, and the ship is headed into a storm. What does it take to turn the ship around 180 degrees? The global warming crisis is an example of what it takes to turn it around, with the proverbial dark cloud on the horizon and the vast majority of the population ignoring the threat, and all the time, the dark cloud is getting closer, and then some people choose to ignore the crisis for their own reasons as part of a power play or because they have no social conscience. The first segment of the planning process is similar to herding cats. You cannot convince anyone that what they are doing makes no sense, because what people believe are the result of a lifetime of experiences. I channeled "A Manual for Peace" with Seth in May of 1999, and when it was rejected by the publisher, Seth told me that a million people had to be in the right time, place and frame of mind for it to be accepted. Each of those million people must reach the point where they are squeezed to let go of the power games and turn around. The books were blocked as an act of revenge. Five people or groups of people have come together with what appears to be the same goal, but the problem with revenge is that no one has the same goal and they work to undermine the person who brought them in or triggered them to come in. None of them got what they wanted--what the revenge was supposed to give them--and instead they got nothing. They got revenge. This is the lesson mankind is learning now. The power games don't work. There is always a backlash to the games. The United States has relied on regime change for a long time to gain control of natural resources and strategic locations around the world. It is power game that seems to work, but the games continue on until an innocent person is crucified, and the backlash collapses the person's power base. For George W. Bush, the preemptive strike on Iraq was one small step for a president, but it was a major leap for the rest of the planet. When no WMD were found, it backlashed on him. It was an act of revenge on Saddam Hussein. Each team has a trigger and an intent. The trigger is a catalyst. The intent is the person on the team who when he or she makes a decision for or against, the rest of the team goes along with the decision. What will bring together the professional publishing team is the understanding that everyone is in crisis, and that you cannot get your life by crucifying an innocent person. It is sharing our talents and gifts with other so everyone can function on a higher level. All along, I have talked about how the preemptive strike on Iraq back-lashed on the United States--and Tony Blair--and collapsed the US power base, which triggered other world leaders to start to jockey for power to see who will be the next superpower. Several world leaders have seen this as their opportunity to function on a higher level, and instead have gone down by playing their favorite power games. The games are oppressive to the people, but when they reach their ultimate conclusion, they become oppressive to the play, because the grab for power leads to the loss of power. Starting in January of 2008, the power games ended and everyone started to be squeezed by the end of the opportunities to be able to create their life on a higher level. The power games no longer work. The United States has relied on regime change for a long time, and it seemed to work to gain control of natural resources and strategic locations in the world. Our government relied on a strong military, and diplomacy, and sometimes covert and overt power games, to jockey our way to the top, but the games ended when played on Saddam Hussein and Iraq. All this is addressed in our Exit Strategy for Iraq proposal. What is important to understand is that the old structure based on power games no longer work. If the games don't work, the vital question becomes what will work. When the plan for the international government went out beyond the prayer circle, there were people who saw this as their opportunity to get their lives on a higher level, and they grabbed for power. They took the power games they were playing to the next level, grabbing for power, too, and the games they have played have been very oppressive to the people. Their grabs for power have not been the opportunity they expected, They are ending up facing the backlashes from the games. Everyone is being squeezed by the end of the opportunities. This is unifying the planet. Everyone is being squeezed by the end of the games, but now, what can be done to help people get out of their crisis? After a crisis, there is a period of triage, of prioritizing everyone's efforts. Some people do well in the crisis, and start to assume responsibility, but others don't, and some people may even still try to take advantage of the situation, thinking only of themselves. People offer solutions, but if their plan doesn't address the root cause of the crisis, it make it worse, which can seem to benefit those who may have manufactured the crisis. The plan addresses the crisis in the family, but also then conflict resolution. The rationale for the plan for the international government is the crisis that has come from the backlash to the power games. If we consider the world leaders who have been jockeying for power, how many have a plan that can solve the problems? How many can end wars, stop global warming, pandemics and epidemics, financial crisis, hurricanes and tsunamis? How do we know what is caused by man and what is caused as the result of nature? What if one individual assumes responsibility for ending all the problems? A king of the world? What if mankind establishes a level playing field, where everyone is equal, and has a voice in their government, and everyone has a problem and everyone has a solution, and with shared research, solutions will be found? When we are backed into a dilemma, the solution is to do what is in everyone's best interest. It is in no one's best interest for one individual to be crowned King of the World. How many plans are there now for getting out of the crisis we are in as a planet? For it to be accepted, it must already be in existence, working to solve the problems, at whatever level. The first two stages in the planning process involve meeting and overcoming resistance from the people who rely on the existing structure their security and support, and those who function for their own interests. They come together with what appears to be a common goal, but what could that goal be when someone functions for their own interests? It is a matter of revenge. It is darkness based on fear. It is a Pentacle of Power that is based on power games that go against Universal Law, and so the player of the games faces backlashes. No one involved in the revenge has the same goal, so it will eventually collapse as they undermine each other. Our first government proposals ends the Iraq War, and the Pentacle of Power that came about as the result of the preemptive strike on Iraq. On a parallel basis, imagine Barack Obama received a letter from Ahmadinejad of Iran in support of the plan for the international government, and Obama and John Kerry joined the debate among the diplomatic community in Washington, DC. It is a plan that benefits everyone, but Vladimir Putin and Donald Trump are jockeying for power by playing their favorite power games of one-upmanship, and they rely on the existing structure, and so they come together to undermine the creation of the proposed international government. They would have what appears to be a common goal, but it is based on revenge against Obama, and with revenge, no one has the same goal so they undermine each other. The resistance ends when they see how the plan benefits them, but the plan must continue to progress for that to happen. Everyone must continue to walk forward in its creation, and there are people who have been dragged into the conflict, and many, many people are doing everything they can to stop what they see as a matter that they believe is undermining their national security. In our organization, the Pentacle of Power that came together against Saddam Hussein is collapsing. The plan made it to Obama's desk in 2011, and we are still focusing on taking the first step--bringing together the professional publishing team--to publish a book that was channeled in 1999. Everyone relies on the existing structure. This is not just Trump and Putin. If you are a cancer patient who is going through chemotherapy, will you let it go easily? Does a diabetic give up insulin easily? For this first step to come about, a billion people have to be in the right time, place and frame of mind. People must be squeezed by the collapse of the existing structure to let go, but if the ship is sinking, we don't want anyone drilling holes in the bottom of the life rafts, and this is what those who can't adapt and are mentally ill are doing. 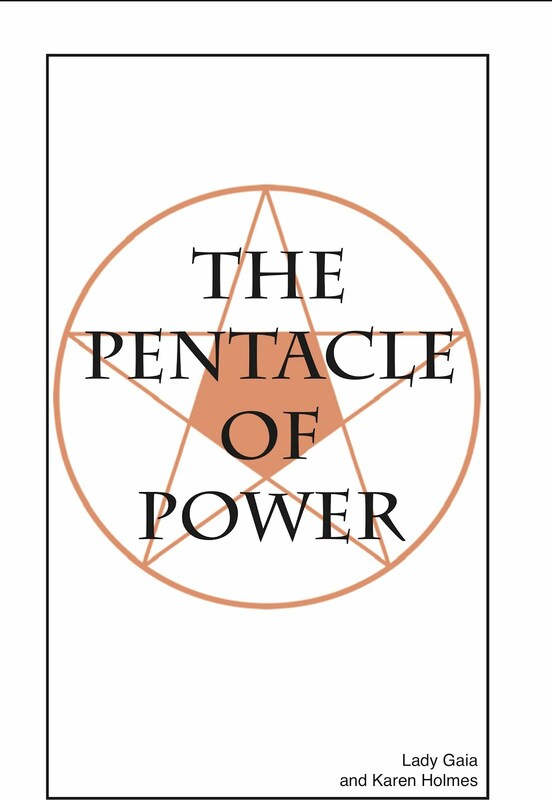 They are trying to undermine the plan for the international government, but the plan has gone too far to stop, and their Pentacle of Power is collapsing. As Trump and Putin jockey for power, and possibly get revenge on Barack Obama, the Pentacle of Power against Saddam Hussein is collapsing. In our organization, it involves the professional publishing team, but on the international basis, it involves oil and nuclear power. President Saleh wanted to create a nuclear power program in Yemen, but didn't have the resources--the capacity--to do so. Obama established the JCPOA to control Iran's nuclear power program, but that also ended Saleh's plans. The 2016 election ended the Bush Dynasty's plans to beat the Adams Dynasty's achievement, and have three presidents from the same family. Let Trump and Putin learn from history that revenge doesn't work. Imagine a movie where twenty people are invited to a three-day event that allows each of them to function on a far higher level, but to get there, each must pass a test. Each must overcome some major block that has prevented that person from moving forward to achieve their goal in life. This is not an easy test. No test ever is, and one person has already failed and died. It will take a miracle for the remaining even be there. Actually, it will take four miracles. The vast majority of the population of the planet have placed their trust in the world leaders to sit together at a summit and create a treaty with the capacity to bring world peace, and are frustrated that the summits come and go and there is no lasting progress toward peace. The existing structure is based on games of one-upmanship. How can that lead to peace? For peace to come, everyone must be able to create the life they want, but being able to do so is very difficult. It is easy to blame others for our misfortune rather than to face the fact that we are responsible for our own lives, just as they are. Students of the Faith of the Pure Ray are celebrating Ramadan, and the principles of Equality that the Prophet Muhammad taught. This is a time of introspection, and a time to focus also on the principles of Tolerance and Empowerment, and then the second half of the month of June, the principles of Creativity. If you are standing in protest, that someone has interfered in your life, and has become your arch-enemy, what does it take to end the conflict? The first requirement for conflict resolution is that both sides must be considered equal. Sitting down together takes tolerance, and coming up with a plan requires the principles of creativity. For a slice of life, imagine Muhammad has asked Lao Tzu and Jesus of Nazareth for dinner. What would their conversation be like? What would they say? The first step of our planning for the first proposal--the Exit Strategy for Iraq--involves bringing in the professional publishing team, but it is more than just asking them to participate. When the plan was opened to debate, many people liked the plan, and started to work on their projects, but there was also a great deal of resistance, including character defamation, which is based on weaving an illusion. Before people will come again, the illusion must collapse. The power games must reach their ultimate conclusion and backlash on the players, and they must lose power, and to get back their power, they must undo the damage that has been done. This is occurring with the world leaders, too. We are watching the doors open that no one ever imagined they could, with agreements like the JCPOA, Cuba and now the reunification of North and South Korea, but these agreements are not enough to create the international government. The power games must collapse first. The first proposal is the Exit Strategy for Iraq. The preemptive strike on Iraq in 2003 should have worked, and some people in power are still under the illusion that it did work and are willing to use it again, but when no WMD were found, it backlashed on George W. Bush and Tony Blair. They lost their power base, and now to regain their power, they must undo the damage that has been done. All the seven power games work the same, and sometimes it is easier to see the effects of the games when you look at another game, such as the game of Gluttony, which leads to alcoholism. Imagine a business executive drinks excessively and is no longer able to do his or her job, but is still under the illusion that he is, and he gets angry when people approach him. Family and friends are alienated. A point comes when "enough is enough" and he or she is fired. He must stop playing the game. No more alcohol, and no backsliding... apologies, and for each apology to be accepted, to regain his power, he must work to undo the damage that has been done. This is more difficult with it is an act of revenge that brings together five people or groups of people, and they all have the same goal, and two of the power games are based on weaving an illusion, because the illusion reinforces itself. P.T. Barnum said, "You can fool some of the people some of the time, but not all of the people all of the time," and when weaving an illusion, this can lead to intimidation and violence for those who know the truth. With character defamation, there are two people who know the truth, and there is a continuum of frequency between the two. When mayhem is involved, and lives are lost, how can anyone undo the damage? To collapse the illusion, one of the Four Rules that are necessary for you to follow to create the life you want is that no one can prevent you from getting your life. If you are working on a project that is based on undoing the damage that you and others have done, and are doing what is in everyone's best interest, there are no obstacles, but you still face the resistance to your plan. You must keep moving forward, and that confidence in your plan allows you to unravel the illusion. If someone is trying to steal the plan, they don't understand the plan and they don't understand the principles of the plan. Eventually, the illusion crumbles. Our books are channeled messages on how to overcome any crisis. Our organization started with a prayer circle, and we received our spiritual gifts and then the plan for world peace, which includes fifty innovative project ideas. How can that be obfuscated? How can anyone compete with the spiritual hierarchy, who function on a level that is far higher than the world-leading experts in their fields? How can anyone write a best selling book every month on subjects he or she knows nothing about and do that for sixty months, with information that convinces the experts in the fields by answering their questions that have stymied their research? Only the spiritual hierarchy can do that. The first people to come in are the channels. We are average people, but we don't have to know the answers to the questions. We can bridge between the spiritual hierarchy and the experts in their fields. For us it is simple to write those sixty trade books, one each month. The illusion is crumbling. It is time for us to take the huge amount of information we have so far and bring in the people who can take the ideas forward, such as the professional publishing team. They can't work with anyone who has stolen the intellectual property, but they can work with the channels and offer information that allows everyone to function on a higher level. Only enough information has been introduced to open it to debate. Not enough to bring it to fruition. It takes everyone working together to bring the plan about. This same process will occur over and over again, and everyone who joins the plan will be humbled in some way. This is where the world leaders are now in regards to the Exit Strategy for Iraq. The power grab failed. Bush and Blair lost power. They started a civil war. The Coalition of the Willing nations didn't get what they wanted. Now, to regain their power, everyone must let go of the games and undo the damage that has been done. They must do what is in everyone's best interest, and that is the plan for the international government, where disputes between nations will be resolved in court rather than the battlefield, and the monies wasted on war will go to the people instead. The 2016 U.S. presidential elections brought together Donald Trump and Hillary Clinton, but perhaps the most important aspect of the election for the entire world was when Jeb Bush didn't win the Republican primary. At first, most Americans assumed the race would be between the Bush dynasty and the Clinton dynasty, and how many generations of Bushes and Clintons would follow? Jeb Bush had the network of support and the experience to be president, but he also had the taint of the Iraq War associated with his name. For the Bush family to get their power back, they must undo the damage that has been done. It benefits them to become part of the creation of the proposed international government, and to participate in the Exit Strategy for Iraq. Donald Trump pulled the United States out of the JCPOA, the Iran nuclear deal. Our allies had encouraged him not to do so, saying that it is successfully keeping Iran from developing nuclear weapons, and many people are concerned the Trump doesn't have a plan to replace it, or that his plan is for regime change in Iran, which will lead to a horrific war. Our plan for world peace must be able to solve the problems the existing international structure is not able to solve, so today I would like to offer our Track Our Progress perspective on this issue. In the spring of 2000, Seth came to us at our prayer circle and asked four of us to work together for three days on a project--a free power source invention. It was a combined effort, but it was offered to a man who is spiritual but also technologically oriented, and he is parallel to Iran. It is a power source that can be used only for peaceful purposes. Not long after that, he stopped coming to the prayer circle, and instead started to work on his project. Many people have taken projects and run with them, but only enough information has been introduced to open them to debate. The intellectual property belongs to the organization, and will do so for ten years after the 200 independent members come together, because it takes all 200 members to bring it about. The projects will be turned over to the "boss" of each project at the Full Training Session, when everyone who is willing to participate at the conference in Europe comes to start preparations for the conference. The conference is when we turn the "infant" international government over to the delegates from all the nations that attend. We will host the first event only, but also continue on with contracting with individual nations to help them prepare for participation in the international government. After that small technology session, with the four of us from the prayer circle, the prayer circle gradually scattered, and all that were left were the core group members, but the idea for the international government continued to grow as more and more people heard about the plan. Among them were unscrupulous people who saw stealing the plan as their opportunity to function on a higher level. It didn't work out at they expected. They stole the plan, but didn't understand the plan, and then stole the principles, but didn't understand the principles. They started a character defamation campaign, which started with a lie, first claiming credit for "A Manual for Peace." This was an act of revenge, with many people playing the five power games associated with revenge, and among them was the former member of our organization, the man who is parallel to Iran. Each of these fifty innovative projects must stand on the same principles. Each is based on Universal Law, and you cannot create a fifth dimensional project by going down into the power games of revenge. The man who is parallel to Iran lost his project, not because anyone took it from him, but because he wasn't standing on the principles of the projects. God doesn't work with people because we are strong, but because we are weak. He lost his project, but also is learning the principles of his project, which is the Free Power Source invention. He is learning where true power comes from. Does it come from revenge, which is based on creating conflict, or from assuming responsibility to undo the damage that he and others have done? The plan for world peace is the overview concept. 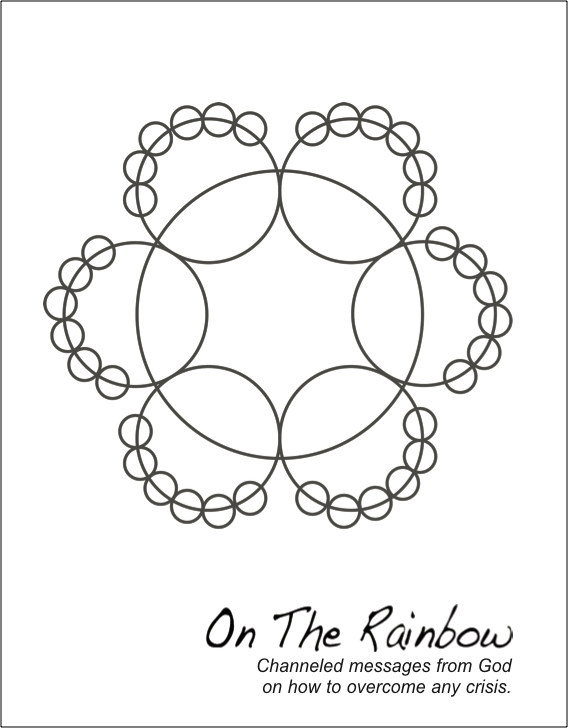 It teaches the principles to the Flower of Life level. It sits in the middle of the hexagonal framework, but it divides into six segments--technology, business and economics, crisis in the family, conflict resolution, tolerance and empowerment, and squeezed into the circle next to tolerance and empowerment is the world peace segment, which is future generations. The segments that oppose each other have something in common. Technology is based on the plan, and opposing technology is conflict resolution, and between the two is the overview plan. This creates a sense of duality. Technological inventions is the plan, and can be used as tools to solve problems or as weapons that create conflict. Wars are started by people who believe they are more important than others, and therefore have the right to put others down, which then sets the stage for judgment, which leads to genocides. The first requirement for conflict resolution is that both sides must be considered equal. Conflict resolution is not based on having a stronger military, but the principle of equality. Nuclear power is being declared unlawful based on Universal Law, which applies to every atom in the Universe. There is a Universe within a Universe, and atoms are Universes. Fission and fusion destroy atoms, and therefore, when we destroy an atom, under Universal Law, our Universe will be destroyed. This will be explained in "A Manual for Peace." The World Peace Movement has started, and mankind is segmenting into four segments--five if you consider the future generations that are being born now. Everyone movement segments into those who stand on the principles, those who go down into power games, those whose lives are affected, and those who function for their own interests. Our plan must allow each of these segments to get the life they want, and so Seth and I introduced the World Peace Marketing Strategy. The four rows are paths to take to reach your destination, but all lead to the same place, which is full participation in the framework that is the cooperation of nature, and the global renaissance. Everyone fits into one segment, depending on what is important to them. For those who choose to get revenge, that is all they will get. No project, no money, no life issues resolved. Technology mimics nature, and the Free Power Source invention is based on life-partnerships. For each of us to get the life we want, we must resolve 144 relationships by making win-win agreements, which build trust and set the stage for future agreements. Our most important relationship is with our Creator, and to make a win-win agreement with our Creator, we must stand on the principles of Universal Law. God does not work with people whose plans do not stand on Universal Law. Donald Trump's plan to use maximum pressure on North Korea, Iran, Syria, and--how many more nations will he threaten?--is not based on Universal Law or making win-win agreements. He is not standing on the principles of the cooperation of nature. Maximum pressure doesn't not build trust or lead to future agreements, with unlimited potential for growth. Win-win agreements allow you to multiply your efforts 10 x, 100 x, 1000 x, with no limits to what you can accomplish. Maximum pressure goes against Universal Law, and therefore, he will faces the backlashes of Universal Law. What he does to others will be done to him. The Free Power Source Invention is one of three inventions that combine to offer free energy. Three nations have the opportunity to work together to create something that has never been seen before. The identity of the other two nations will be explained at a later date. Mankind now has three choices--up, down or straight ahead. The down and straight ahead options lead to destruction of the planet. Up leads to world peace and an unlimited free power source. No one knows what he or she doesn't know. Equated ideas get people into trouble, but it isn't until we come to the understanding that what we are doing isn't working that we realize where we are. Many people equate money and power, and it isn't until they lose their money, and therefore their power, that they are willing to listen. These misunderstandings reach their ultimate conclusion, and that is when people are ready to hear about the plan for world peace. The plan for the international government was first introduced at our prayer circle, and the circle's core group was made up of several low income people with spiritual gifts. How could we be regarded as powerful? How could we bring world peace? It was in our hearts to work on our projects. Then the plan was introduced to many people outside the prayer circle, and then pirated. Those people who had never attended our prayer circle followed after the pirates who seemed to have all the power, but who also don't understand the basis principles of world peace--or any world peace project. If you want something, you can be backed into the corner. If you are already getting the life you want, you cannot be bribed. This is why the emolument's clause was including in the Constitution. If we leap forward several years to the point where we have created our projects and have gotten government contracts, we are already getting the life we want. The pirates will have never reached the understanding that they can get the life they want. They have relied on power games to help them get the life they believe they want--but the games will never work. It doesn't matter how much money someone has. For world peace to come, everyone must be able to create the life he or she wants. Each of us must be functioning from within our own capacity, based on our talents and gifts. When we base world peace on something everyone has, no one is left out of the plan. The Exit Strategy for Iraq proposal includes associated booklets, mini-books, and trade books that address where true power comes from. Which President Has the Power to Stop ISIS? Last night, I watched the latest episode of the CBS program, "Bull," about a young teenage girl who is drawn into the life of an much older online boyfriend and coerced into perpetrating crimes. I couldn't help but to compare it to how the governments around the world are mistaken in their policy on dealing with ISIS. In previous posts, I stated that I believe the man behind ISIS was President Saleh of Yemen, not Abu Bakr al Baghdadi. President Saleh was a narcissist who played the power game of Lust, and that leads to slavery. In the story, the girl has been abducted, and 18 months later, the slaver and the teenage girl rob at gunpoint a jewelry store. They are caught by the police and the case goes to trial. The prosecuting attorney understands that the two perpetrated the crime, and wants to try them as a team. The slaver weaves an illusion that the girl is the one who wanted to rob the store, and the jury believes him. Even in the court room, the man is weaving an illusion, and drawing people into the crime of slavery. Sleeper cells exist in every nation, and in every state of the United States, and while eradicating ISIS through military strikes may seem to be the solution, just as in the latest episode of Bull, even with the death of President Saleh, at a certain point, the sleeper cells will wake up. ISIS itself is made up of average people who got dragged into the illusion of someone who plays the game of Lust, and they don't know who to trust, or how to get back their old life again. The president with the power to stop ISIS is not Donald Trump, and it wasn't Barack Obama, or even Vladimir Putin. The president with the power to stop ISIS is George HW Bush--and he doesn't have to lift a finger. It is the understanding of how revenge works and why it doesn't work that stops ISIS, and that understanding must keep going out to more and more people. The Republican primaries were the opportunity for the Bush family to attain their goal of moving again into the White House, and it was like a door that they walked toward, but when they reached it and opened the door, on the other side was a Brick Wall. They had to first address the failed policy of preemption that made them lose their power. They were 180 degrees from where they thought they were. What they wanted was behind them, not ahead of them. ISIS is the result of a ripple of effects that came from the preemptive strike on Iraq, but that conflict started as an act of revenge against Saddam Hussein, which started with the Gulf War. George HW Bush played the game of Pride, which leads to wars. That set the stage for the genocide and the preemptive strike on Iraq, and that drew in the Coalition nations, and that set the stage for President Saleh to play his power game of Lust--to start weaving an illusion. That brought in the terrorists. All have the same goal--revenge on Saddam Hussein. Stopping ISIS is not a military maneuver, but is based on how revenge works and doesn't work. It is based on the fact that five separate, and even antagonistic, groups of people all came together with a common goal, and because none have the same goal, they are undermining each other. Other than this revelation about revenge, under which unimaginable circumstances would anyone connect George HW Bush and George Bush with ISIS? The US government is in a dilemma about how to solve the waking up of ISIS sleeper cells problem, but the solution to every dilemma is to do what is in everyone's best interest--not to eradicate others, because that makes others resist. What is in everyone's best interest to work together to create the international government, starting with the Exit Strategy for Iraq proposal. Mankind is now learning that revenge doesn't work. Where does true power come from? In the latest episode of Bull, the prosecuting attorney seemed to have the power over the girl, and the slaver seemed to have the power, right in the court room, over the girl and to control the case against him. How can there be a fair trial when the "victims" of the crimes are considered guilty, when the guilt is deflected back on the victims? How can ISIS be considered innocent of their crimes? That is what will occur as the result of the Exit Strategy for Iraq. It will take the legal systems of the world to the next level, where fair trials are possible. The illusion is very strong, and once the grand lie has been told, the truth doesn't overcome the lie. It reaches the point where no one knows who to trust. At this point, the only thing you can trust is Universal Law. It will be the basis for the international legal system.